A plain old board of wood is the starting point for many projects—including this sparkling black and copper study station. When Homeroad blogger Susan’s daughter came to her with a project idea, she jumped at the chance to help. 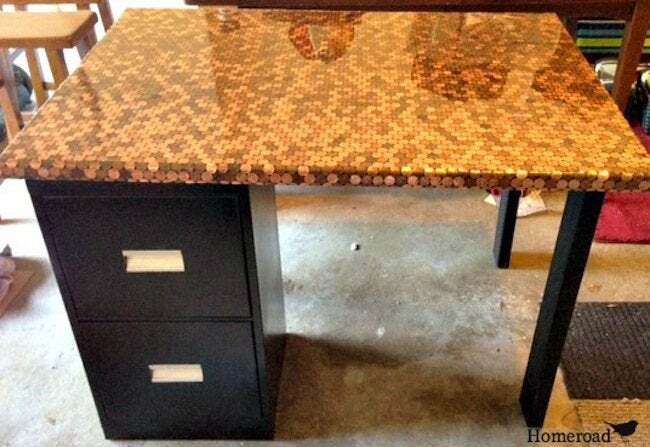 She provided the wood cut and her daughter, Kasey, did the rest—creating a one-of-a-kind desk with a plain wood board, a short filing cabinet—and a whole lot of pennies. Read on for the full tutorial. Cut a wood board to size and attach a piece of crown molding to the edge for a clean finish. Then paint the wood board black. Next cover the board with pennies. 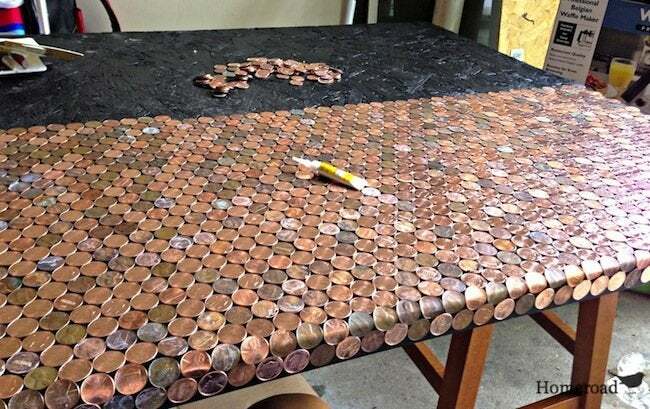 On the front edge of the desk, bend pennies at a right angle with pliers so they fit around the corner. 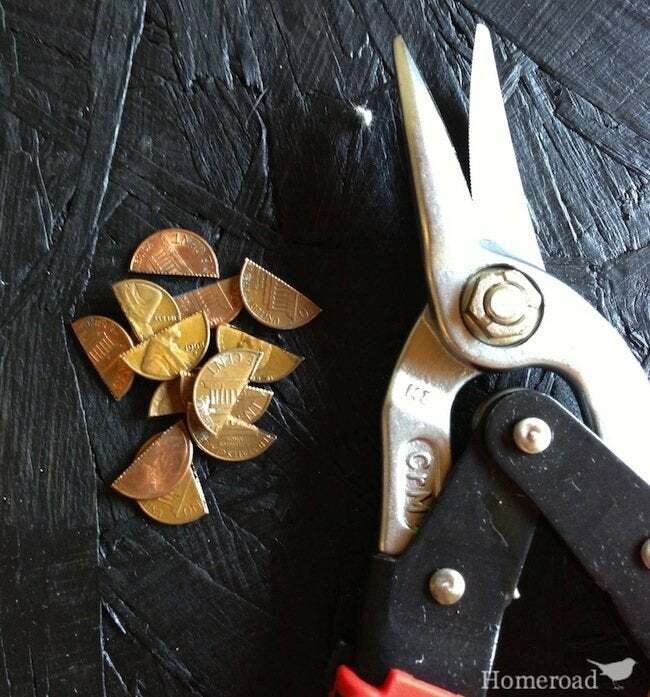 Use a wire cutter to cut pennies in half so they will fit perfectly along the edge. When the glue dries, cover it with 3 coats of epoxy. The finish is smooth as glass and amazingly awesome! Attach two legs to the bottom of one side of the board and support it on the other side with a black filing cabinet. Thanks, Susan! For more DIY furniture ideas, check out Homeroad!